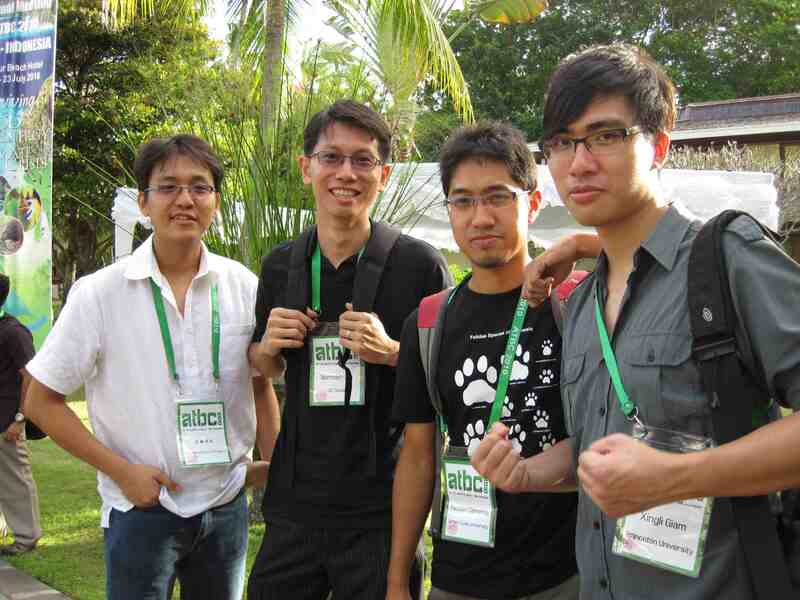 The Biodiversity Crew had a strong presence at the recent international meeting of the Association for Tropical Biology and Conservation (ATBC), the society which publishes the journal Biotropica. 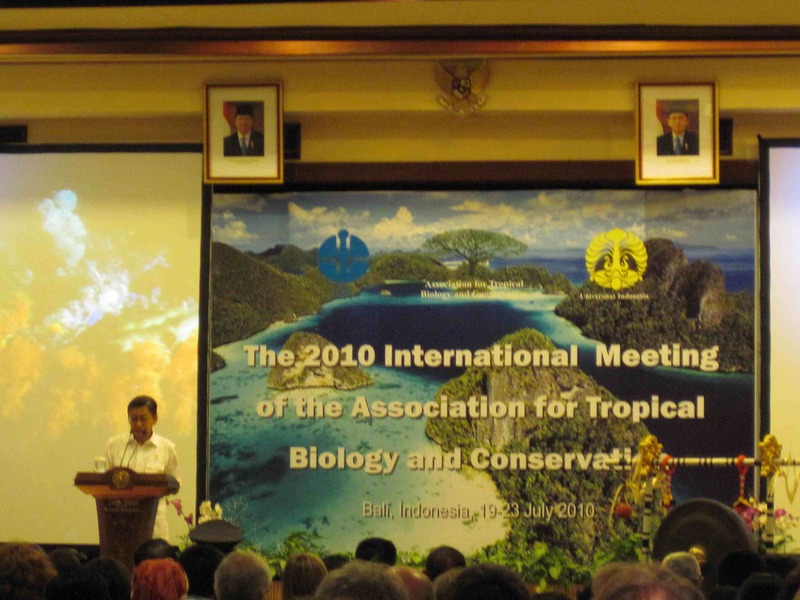 Themed “Tropical biodiversity: surviving the food, energy and climate crisis”, the conference was held on July 19-23 in the Sanur Beach Hotel in Bali, Indonesia (the venue may explain why the many attendees from DBS!). The Environmental Leadership Training Initiative (ELTI) joint initiative of Yale School of Forestry & Environmental Studies and Smithsonian Tropical Research Institute, which is based at DBS, also organized a symposium called “REDD’s Role in the Conservation of Tropical Biodiversity”. 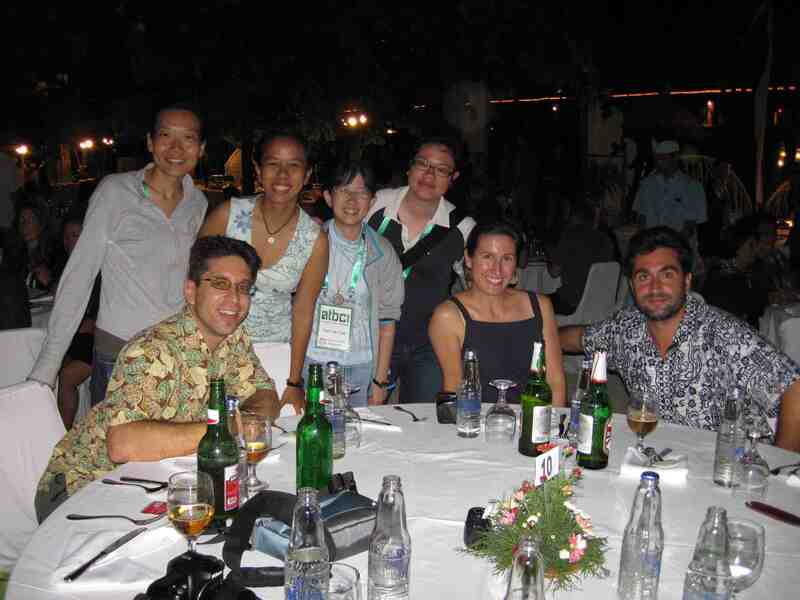 It was great opportunity to reunite, meet and mingle with tropical conservation scientists from all over the world. All in all, a fun and fruitful meeting. You can find out more information about the conference at this website: ATBC 2010. Next year the annual meeting will be held in Tanzania – hope there will be another strong contingent from DBS there! Honours students Theresa, Marcus and Paul invited their labmates in Ecolab to a relaxing lunch party today. And they topped it up with ice-cream! Some honours traditions are really nice and it is quite easy to make us forget how traumatic it all was! 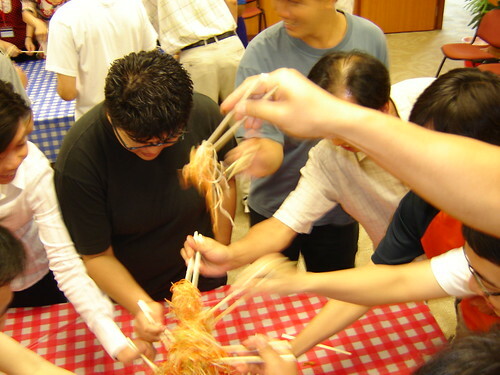 The BioD group got together on the 3rd of February to “Lo Hei” and celebrate Chinese New Year! The current batch of Honours students couldn’t resist the chance to have a photo together! 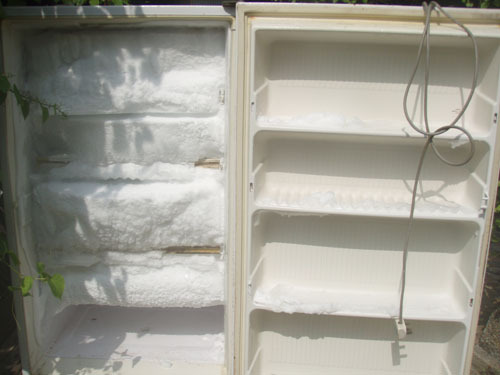 In case you still don’t know what was the smell that dominated the S1 & S2 building at 31/07/2008 (Thursday), it was coming from the fridge of the field store! 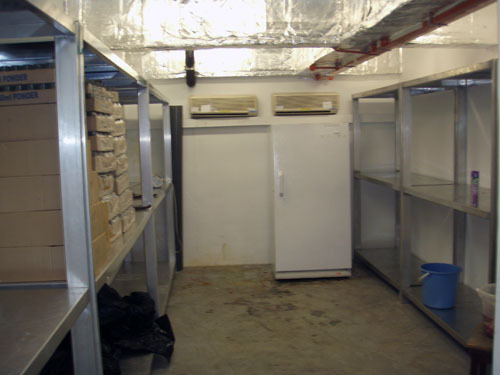 20+ people joined the Marine Bio Lab’s SUPER cleanup yesterday, and successfully tidied up the lab, the (ultra stinky) field store and the dive store! Kudos to the lab’s members! 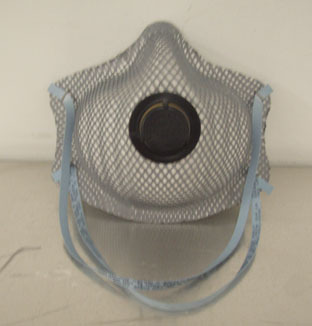 – More than 3 types of air refreshers, together with N95 masks, were used to make the cleaners staying alive! 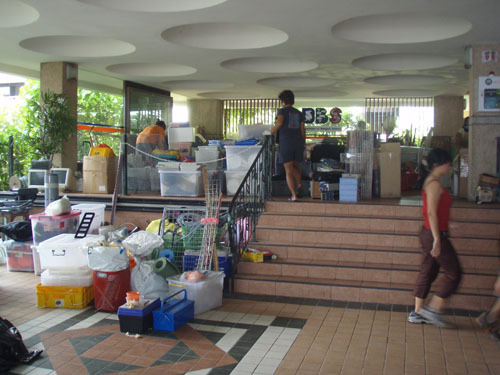 – About 7-truck-trip of rubbish was dumped! Supports BIG diversity (and abundance)! 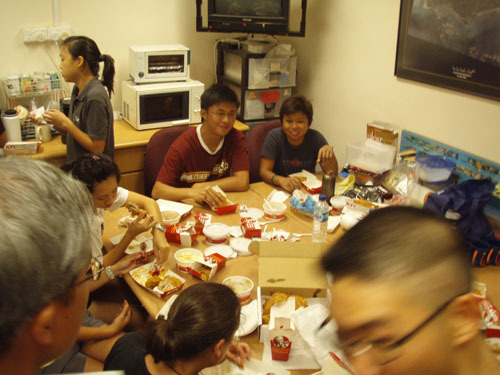 Thank you (the bosses) for the KFC, it’s “licking finger” good! 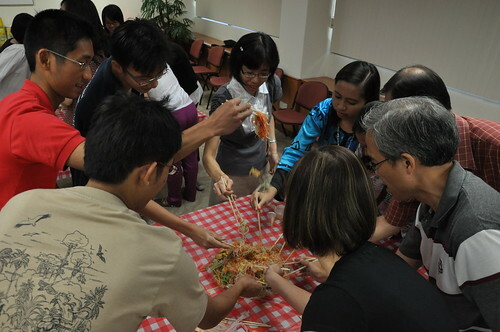 Staff and students gathered for the Year of the Rat Lo Hei celebrations. See Wikipedia for the origins of this ritual in Singapore. We welcomed in the Chinese New Year, caught up with a little bit of the news and with each other and thanked the admin staff for their year-round support. Photos by Tommy Tan are up on Flickr. Thanks to Tommy for organising yet another gathering!